Customize your Samsung Galaxy S6 wallet case. Ensure protection for your case from scratches and dents. A Skai leather phone case with your own picture or unique design. 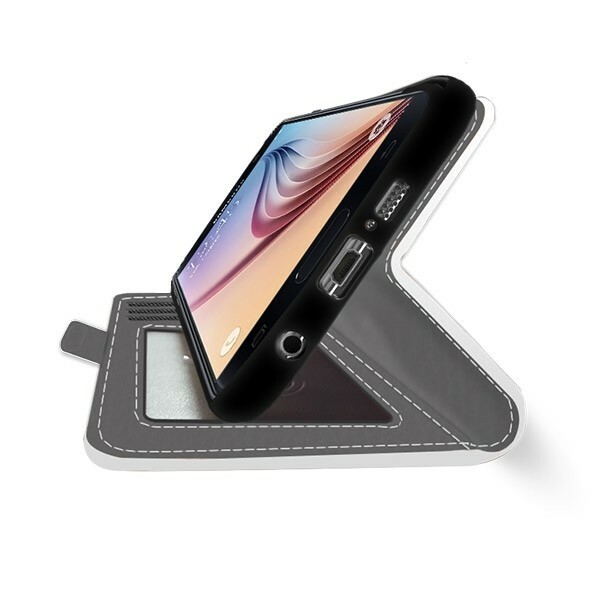 A wallet and a phone case in-one, we think thats pretty handy. 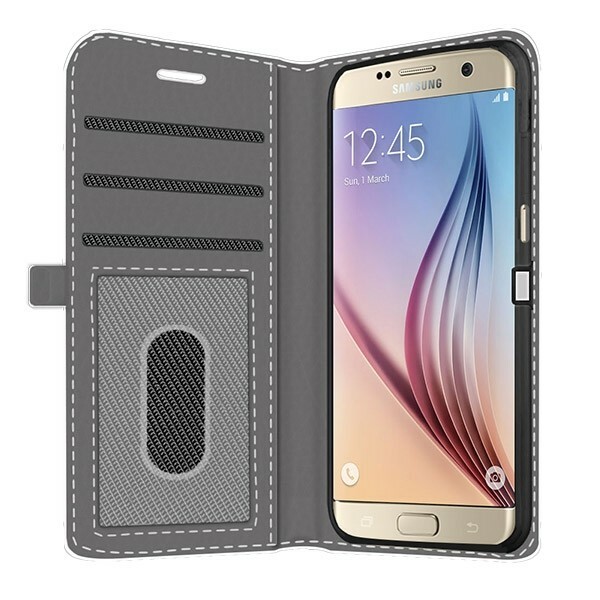 The customized Samsung Galaxy S6 wallet case is one of our favorite phone cases. It has 3 handy slots for your important cards such as credit card and ID. In addition, it protects your phone from all those nasty scratches and dents that seem to appear on a daily basis. You can design that case however you please using any of your favorite pictures, patterns or pre-made designs. The front is a made of special canvas on which your personal design will be printed. The rest of the case is made of Skai leather. Making your own Samsung Galaxy S6 phone case is quick and easy. Upload any of your favorite pictures, patterns or pre-made design to the phone case maker to get started. You can reshape and resize the design as you please. If you have all your favorite photos on your Facebook or Instagram account, do not worry. You can upload them straight fromy our social media accounts to the phone case maker. Add a little personal text to finish of your design. There are lots of fonts and colors to choose from. 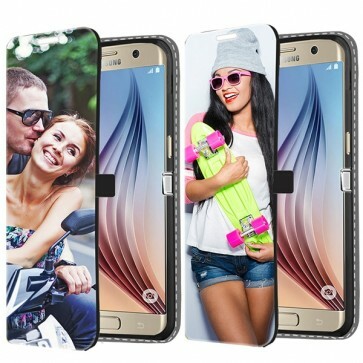 Once you are satisfied, order away so we can get started making your cool Samsung Galaxy S6 phone case! GoCustomized likes to find a balance between speed and quality. We ensure that your case is on its way to you within 24 hours of purchase. If there is anything wrong with your design which would result in an unsatisfactory end result, one of our specialists will contact you about it straight away. You do not need to be at home to receive your phone case, our packages fit straight through the mailbox.